Curfew is a new drama which felt from the trailer like it was being a remake of Death Race 2000, and it feels like so many people are driving trucks like Mick Jagger did in Freejack, which should put this drama’s timeline in 2009… but I doubt it is. It’s also aiming for a Blade Runner-style feel where everyone’s business and houses all have shutters aplenty on their windows, and as the evening comes and the curfew kicks in – thanks to a mysterious virus that’s causing all sorts of problems, so those shutters come down, since it’s a lawless time and the police are more trigger-happy than a Los Angeles donut-muncher on a busy day. There’s also elements which make this film like ‘Freejack meets zombies’, and if you haven’t seen Freejack, you really should. Then add zombies. And what happens when zombies meet people? Yes, you know. But as this happened, it felt like it was taking the programme a world away from how it’s meant to be just about illegal street races during curfew time, the prize for the winner being to escape from being under a curfew altogether. The trailer made it look like endless action, but based on these first two episodes, it’s mostly build-up and I’m waiting for the great leap forward. Without giving spoilers, the first episode cuts back and forth between now and five years earlier when one of the characters had suffered a severe accident and had put themselves in a wheelchair, and was trying to (hopefully) learn to walk again; but just as the race is about to begin… it ends, and then the second episode gives us more back story, and the race starts to get underway around 11 minutes in. Just give us the action we were promised! And even when it does get going… it sometimes pauses the race and gives us more retrospective plot. If the backstory had some gravitas to the plot, I could understand it, but I’m certainly not feeling that so far. Oh, and The Terminator‘s Michael Biehn pops up as a grizzled partaker in the game, but when we hear him speak, he sounds more like he’s wittering and drunk. However, I do know from the many times I spent playing Midtown Madness 3 on the original Xbox that the best vehicle to drive in any race is a bus! Curfew has been shot with a theatrical widescreen aspect ratio of approximately 2.39:1, and that leads me to think that in the end, this feels like it would be best served as a 90-minute movie, not drawn out over an eight-episode series, and I think after two episodes, I’m hitting the brakes… unless I hear things improve dramatically over the next episode or two. I initially thought this would be the kind of thing people would like to binge-watch on the entire series once it begins, since binge-watching is an essential these days, but that doesn’t appear to be an option. Curfew begins this Friday on Sky One at 9pm, NOW TV and on demand, with new episodes every Friday. The series is available to pre-order on DVD, ahead of its release on May 13th. Curfew should rightly be titled MacGuffin. For, my dears, it contains the biggest, bestest, blatantest one you every did see: annual stock car racing. You’ve got to be in it to win it, and that’s the attitude I very much advise you take towards Curfew. We are in a near-future – or alt-present, if you are cooler than I – London, in an England now under totalitarian rule. A rigid curfew is in operation. When the evening siren goes off, iron shutters come down on buildings across the city and people hurry home to await the morning. These people include ambulance driver Kaye (Phoebe Fox); her rebellious sister Ruby (Aimee-Ffion Edwards), whom we first meet careening under fire from government troops through the busy daytime streets with medical facility escapee Michael; devoted family man Donahue (Adrian Lester); shady mechanic Errol (Sean Bean); and his semi-sociopathic pregnant girlfriend Faith (Rose Williams). The only way they or anyone else can escape the Totalitarian Government of Near Future or Alt-Present England is to take part in a huge but secret car race across the country. This seems to be open to anyone with a car and enough money to buy a special black box that delivers instructions like a samizdat satnav (samizdatnav? ), with the winner getting a place on the (possibly mythical) Island, where people are free and scientists are working on a cure. Because – did I not mention – the curfew is in place due to the fact that the country is infected with some kind of zombie virus, and the mindless killers hunt at night. It takes a lot for me to question a setup, it really does. I understand that fiction is fiction, drama is drama, and it is incumbent upon me always to find as robust a peg as possible from which to suspend, willingly, my disbelief. But. Come. TF. On. Winning a cross-country car race is the chosen means of fleeing a regime? But … but … but … NO. And the zombie infection is a sidenote? Come. TF. On. You’d need to countersink a peg into 12 feet of concrete before it could support the weight of that kind of incredulity. Remake Death Race by all means. Put a new twist on the zombipocalypse as The Walking Dead finally lapses into terminal decline, do. But bolting the two together creates distractingly bizarre results. But we are where we are. And perhaps, to borrow from Sarah Connor – whose Terminator narration seems to inspire Curfew’s own – in an insane world, insane mashups are the sanest choice. So, we can choose to have fun and lean into this Jeremy Clarkson fever dream that has managed to attract such names as Bean (fresh from Bafta-nominated Broken), Lester, Harriet Walter (as Kaye’s doctor mother who cured Michael’s quadriplegia five years ago, then became infected while investigating the z-germs), Billy Zane (God love him – is there anyone having more genuine fun with an acting career than Billy Zane?) and Miranda Richardson (who I failed to spot in the badly lit totalitarian London of the first episode). By the end of the first hour, the racers have assembled at the start point. They and the scriptwriters are revving their engines. What happens from here is anyone’s guess. It could sputter and stall or roar all the way to the finish line in triumph. I think it’s worth going along for the ride. There have been some gloomy forecasts for post-Brexit Britain, but as yet no one’s predicted the country will become a police state, menaced by nocturnal flesh-eating monsters, with the only hope of escape via a lethally dangerous illegal street race. That’s the perfectly plausible premise of Curfew, Sky One’s new prime time Friday night drama. Like Stan Lee’s Lucky Man it’s a small-budget homage to no-nonsense sci-fi action movies, borrowing liberally from The Fast and The Furious, Mad Max, Death Race 2000, 28 Days Later and… well, everything except Call The Midwife, really. It’s loud, daft, utterly derivative – and thoroughly enjoyable. Writer Matthew Read and director Colm McCarthy (both Peaky Blinders alumni) have realised that the secret to a good action movie, and its television variant, is to write a tight, smart script that doesn’t take itself too seriously; get good actors to deliver it straight; and provide the audience with an event every five minutes, at least. Authoritarian government The opening episode delivered on all fronts, with plenty of car chases, shoot-outs and monster attacks. But it also built a detailed, grimly convincing picture of an alternative Britain where an epidemic has created the aforementioned monsters and an authoritarian government (embodied by Robert Glenister’s sharp-suited, stone-hearted chief bureaucrat Grieves) has imposed the curfew ostensibly to protect the population, but in reality to tighten control over them. Naturally there are rebels and criminals operating in the margins, with the race (for reasons not yet particularly well-explained) offering the prospect of escape to “the island”, a possibly-mythical haven where scientists are working on a cure for the epidemic. Motley crew The opener established some key players amid the motley crew. Adrian Lester’s timid family man, emptying his bank account and seriously customising the Volvo estate to give his family a way out. Phoebe Fox as paramedic Kaye and Malachi Kirby as Michael, the ace street racer with whom she shares a romantic past and a link to the secret medical trial which caused the epidemic, deciding that an ambulance has both the speed and heft necessary. And Sean Bean as the General, Yorkshire-accented criminal kingpin and purveyor of vehicles and other black market supplies for the racers – but bagging the Jag in a bid to start a new life with his teenage (but equally scary) girlfriend Rose (Faith Williams). Each of them transcended their characters’ stereotypical origins to create quirky, well-rounded human beings you found yourself caring about and rooting for. And on top of the thrills and spills, Read and McCarthy delivered some quieter but equally effective moments; the soothing computerised voice reminding us of the impending curfew – and the penalties for disobeying it; police looking down coldly on a young mum caught in the crossfire of a shoot-out and promising to “find an uncle or something” for her orphaned daughter. There were a few too many storylines and flashbacks pinging about, and the CGI of the set-piece chases wasn’t quite Hollywood standard. But it still provided a moment that jolted me out of my seat and a plot twist I absolutely did not see coming. I doubt the makers will be clearing space on their shelves for the Baftas. But if you’re a fan of guilty pleasures (and don’t feel particularly guilty about them) then buckle up. Arriving amid flaming gasoline drums of hype, Sky One’s Curfew is a thrill ride with dodgy brakes and fluffy dice for brains. The setting is a dystopian London overrun by zombie-like creatures and also by ageing c-list actors seemingly desperate for a gig (including The Terminator’s Michael Biehn and Billy Zane, from Titanic and here wearing a cowboy hat). There are Mad Max-style tricked-out motors, death-defying chases (co-ordinated by former Top Gear Stig Ben Collins) and Sean Bean being grumpy, even by Sean Bean standards. The race itself? Its a ‘race to Freedom’ in which the winner gains access to ‘The Island’, a location where there are scientists searching for a cure for the zombie virus. Myth or reality, we’re really not sure on that. As a motorsport fan this should appeal. A dangerous race with fast cars driving cross country to an as yet undesignated finishing line. A star cast also bolsters Sky’s new drama with the as mentioned Bean, Billy Zane, Miranda Richardson, Rose Williams and Phoebe Fox amongst the cast. Even so, I’m left wilfully interested by what happens next. There is some emotional attachment towards the family and their hound that has decided to do the race in a Volvo estate. There is some desire to see how well main protagonist ‘Kaye’ played by Phoebe Fox, gets on. Will it be worth all that advertising space they used up on the side of the IMAX. Verdict: If I was going to be truly representative of this new series I’m going to have to borrow bits from other reviews and pass it off as my own opinion, but no. Curfew is like Drive, but with the plastic guards taken off the B&Q hardware. This London, with its gleaming towers, would be paradise if only the eponymous curfew was not imposed at the end of the working day, with the shutters of shops and office blocks descending in unison. The reason for this restriction on Londoners’ freedom of movement is not specified – so far as one can tell it’s not Brexit – but there is a nasty bug going round that finds Harriet Walter being shot by police and at night humanoid creatures roam the streets, snacking on any humans they can catch. The one snared in this opening episode was Adrian Lester (pictured below), perhaps not liking his beard. It’s clearly dangerous being a Shakespearean actor in this toxic environment. Curfew is a sort of cheerful budget-price Mad Max. The various characters introduced here all mustered at the end of the episode for the start of a race. The prize for the winner of this contest is to be whisked to a possibly chimerical island where there is no virus. 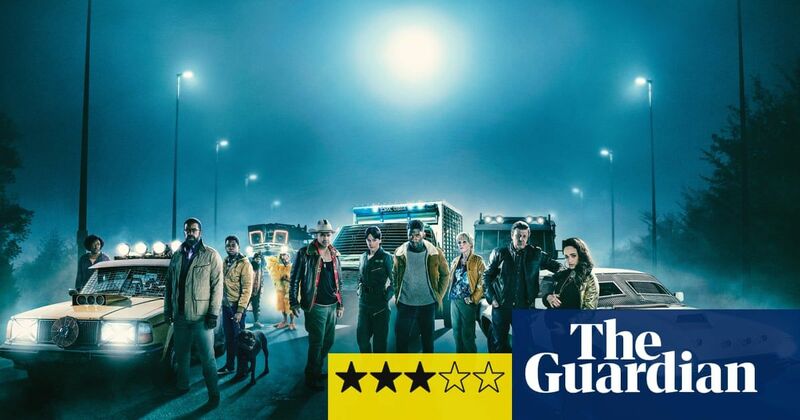 Among the jalopies revving up at the start are an armoured ambulance driven by Phoebe Fox’s emergency medic Kaye, who joins her rebel sister Ruby (Aimee-Ffion Edwards, best known from Detectorists and Skins) and Ruby’s hot boy racer boyfriend Michael (Malachi Kirby, Kunta Kinte in Roots). At the wheel of another motor is Sean Bean’s gnarled garage mechanic known as The General and his pregnant rockchick girlfriend (Rose Williams), while Adrian Lester’s family have to keep on keeping on without him. Viewers were far from impressed by Sky One's new apocalyptic crime drama Curfew tonight (February 22), a sort of cross between Fast and Furious and The Purge, with just a hint of The Island. 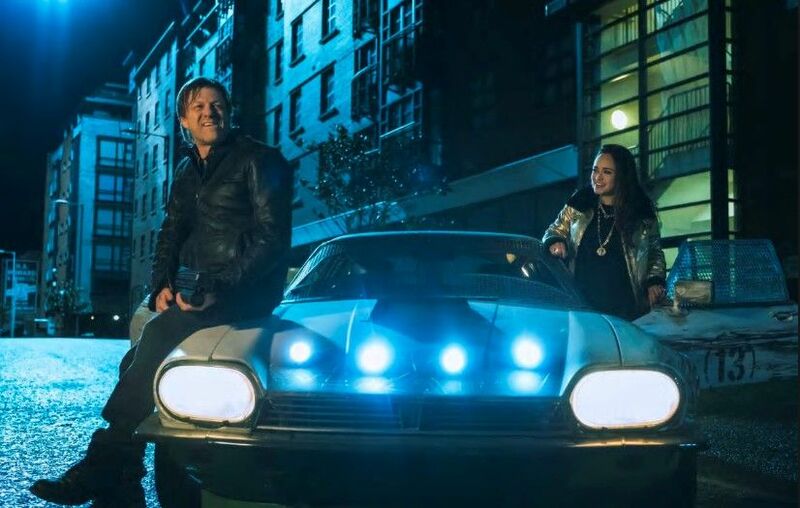 Starring Sean Bean, Billy Zane and Adrian Lester, Curfew sees amateur drivers from all over the world compete in an illegal night-time street race, breaking the strict curfew imposed on them by the totalitarian government controlling their lives. It's all mildly confusing from the get-go: it's set about five minutes in the future where the only noticeable difference seems to be a higher volume of computer screens in the streets. The reason for the curfew is initially unexplained, as are the motivations of most of the characters. But it was a piece of particularly tragic CGI that first raised doubts among viewers. After an early chase resulted in a car flipping off a bridge and landing upside down, with the characters inexplicably surviving, viewers took to Twitter to criticise the special effects. Regardless, Curfew has an impressive cast line-up which sees Bean joined by Phoebe Fox (Blue Iguana), Malachi Kirby (Black Mirror), Robert Glenister (Spooks), Aimee-Ffion Edwards (Peaky Blinders) and Rose Williams (Reign). The eight-part show is written and executive produced by Matthew Read (Pusher) and directed by Colm McCarthy (Peaky Blinders). Curfew continues next Friday (March 1) at 9pm on Sky One. I was surprised to see Sean Bean’s name attached to the hyped Curfew, which debuted on Sky One. All I had read about it was heavy on some kind of Mad Max car race, set in the alt-present. Sigh and vroom bloody vroom. Sean’s name was last seen on 2017’s classy and magnificent Broken. Then I read further into the cast: Adrian Lester, Malachi Kirby, Harriet Walter, Miranda Richardson, Billy Zane… and rethought my instant prejudice and turns out this is really very good indeed, with gratifyingly few exhaust(ing) vrooms. The race proper only kicked off at the very end of this first episode: to the far north of Scotland, or instead to some mystical/mythical “island”, wherein lie promises of a cure for plague and liberation from a curfew-loving government bristling with bullets and ill intentions. So far, though, it’s written with high intelligence, focusing on personal interplay and fine acting, with (just) enough horror and tearing death metal to reward the Friday-night gang back from the pub. And kudos to any series that, à la Game of Thrones, has the cojones to kill off one of its chief draws in the very opener, the victim fretting about his broken glasses when suddenly and frightfully blindsided by an eater… well, I damn well jumped. This is quality hokum! This was a stronger episode, which begins to provide some insight into more of the characters while simultaneously showing off some of the more colorful characters that have entered the race. We learn that Kaye’s mother who we believed to have been killed is still very much alive and barely human, but is now at a medical facility. It will be interesting to see how that plays out given that the Authorities want to try and question her. As to the race itself. Thus far the racers are still in London and it looks like it will not be at all easy for them to get out. I look forward to seeing how this all plays out and hope that we get to see the backstories of some of the other characters as things move forward. So bad were the opening 15 minutes of Sky One’s sort-of sci-fi drama that this viewer very nearly turned off. Based on that first quarter of an hour the show appeared risible, clunky, awkward and poorly-imagined. A little crass too, with the F-word scattered randomly across the script without any apparent thought given to its potential power when used sparingly instead of profusely. But sticking with it over the first two episodes has paid off. The ensemble cast, which includes Adrian Lester, Billy Zane, Sean Bean and (though we haven’t met her character yet) Miranda Richardson, have gradually begun to inhabit their roles and the drip-feeding of information via flashbacks has introduced new and more intriguing layers to the story, set in an alternate reality (or is it a near future?) in which a totalitarian UK is under night-time curfew. Why? Because the country is plagued by vicious, fast-moving beasts, the result of an as-yet-unknown virus which turns humans into mutants, or “mooks” as they’re known. Those who want to try to escape and have an appropriately outlandish vehicle in which to do it can enter a road race, with the ultimate prize being access to some nebulous Shangri-la – an island where, it is promised, you can sleep out and night see the stars. Or something. This may change, but so far in the race we’re rooting for the Donahues, and not just because they’re driving a clapped out old Volvo estate. A more-or-less normal family, they’ve already lost one parent (Lester) to a mook bite but younger child Roman (Ike Bennett) may hold the key to the whole mook mystery in the cache of files he downloaded after hacking into the servers of the sinister Brooke Heath medical facility. Helping them out, albeit grudgingly, is former ambulance worker Kaye Newman (Phoebe Fox), her ex-boyfriend Michael (Malachi Kirby), a former inmate at Brooke Heath, and Kaye’s sister Ruby (Aimee-Ffion Edwards), who’s now going out with Michael. So imagine Wacky Races co-directed by Quentin Tarantino, Edgar Wright and Joe Cornish, which is to say imagine Death Race crossed with Shaun Of The Dead and Attack The Block, but with post-apocalyptic punk stylings borrowed from Mad Max and Escape From New York and a soundtrack by John Carpenter or Tangerine Dream. Did I miss anything in that round-up of influences? Oh yes, episode two featured a brilliant visual gag lifted lock, stock and smoking bazooka barrel from Chris Morris’s jihadi satire Four Lions, and Game Of Thrones fans already excited by the presence of Sean Bean will have been delighted by the special effects shot which closed Friday’s second episode – a massive barrier circling London which, though not made from ice or patrolled by actors in fake bearskin rugs from IKEA, was a dead ringer for The Wall. Well, I’ll say one thing for the team behind Curfew: they certainly know how to make a crisis out of a drama. After last week’s incredibly sluggish open, not only does the big race struggle to get off the starting blocks, but it actually feels like it goes into reverse. Given that we left the ‘action’ at the end of the first episode with the racers about to get underway, we actually begin with a pair of time jumps – one some ten days back in time, and the other about ten minutes. As a result of the first, we at least get to see a bit more of Adrian Lester, after his character’s untimely demise at the hands (and mouth) of a zombie last week. After taking all the trouble to cast him, it had seemed a little odd that he was out of the series so quickly, so by using flashbacks, it looks as though we’ll get to see some more of him peppered throughout the rest of the run. Unfortunately, as around one-third of the screen time thus far has been devoted to jumping back in time, it could quite quickly become an annoying means of establishing characters’ backstories, as well as providing lots of exposition, while hobbling any momentum in the process. Oh, and there’s so much exposition. You can’t help but get the feeling that they’re trying to cram too much into these eight episodes, as they keep having to keep on taking pit stops every few minutes to go back and explain something. Given that the show’s focus is on the race, they seem to be doing everything in their power not to show it to you. Perhaps it would have been better if they’d done all this world building and scene setting in a far more linear fashion, getting it out of the way in the first couple of instalments, so we can get to some uninterrupted, unexpurgated high octane action for the remainder. The sudden drop back to the pre-race set-up, with all the drivers getting prepared for the start, does seem like a little bit of a cheat, as it does very little to add anything of real substance to proceedings. It seems as though the makers are firmly intent on delayed gratification – it just remains to be seen, however, as to whether they end up delaying it so far that they don’t actually manage to get any actual gratification in by the end of the eighth week. So far, all the signs are pointing towards that, as it appears to becoming a test of endurance for the audience more than the characters who are taking part. The additional material they’ve clumsily shoehorned in at the beginning before the race commences does give us a focus on a previously unseen character – Roadkill Jim, played by Michael Biehn. The name alone tells you everything about the level on which the show is operating, as it sees itself as being a Mad Max-type dystopian car chase action piece (with some of the cars – and the drivers – styled in a vaguely reminiscent or evocative manner), but it’s also a dystopia where people live on nice suburban housing estates and drive Smart cars, so by trying to have it both ways, the show is stylistically all over the place, and a bit of a basket case creatively. The attention on Biehn’s Roadkill Jim so early on is rather baffling, given that the character is given a painful, sprawling monologue about his beloved boyhood dog, Bob, which appears to be there just to give Biehn some screen time, and justify casting another Hollywood luminary. You can forgive Biehn’s rather off-kilter turn, given that seconds earlier we’ve just seen Jim toot a load of Charlie up his nose, so his almost drunken performance must be the closest way they could get to showing the audience that Jim’s high as a kite. It’s at this point, however, proceedings hit both a literal and metaphorical roadblock – having been given a good two or maybe three minutes of actual racing, Jim ends up going from leading the pack to being the first casualty, as the security services have set up an ambush on Tower Bridge to pick off the competitors one by one. You could almost say that he goes from Michael Biehn to has-Biehn, as Jim gets shot through the chest by a sniper, and ends up being immolated in yet another awful bit of CGI, as he dies in a fiery ball of pixels. The longing, wistful look that he gives to a picture of his late dog, Bob, just moments before the crash is one of the most unintentionally funny things to be shown on TV this year. Harry Hill’s TV Burp would be all over comedy gold like that. In that vein, maybe they got rid of him because it would get too confusing with having two similar surnames appearing in the series? Sean Bean. Michael Biehn. You’ve got to have a system, as Harry Hill would say. And just like that, everything just grinds to a sudden halt, almost before it’s gotten properly started. Imagine if Cannonball Run had involved about five minutes of actual racing action, and the rest of the time people sitting around strategising while eating packed lunches and being quite banal. Got that in your head? Good. Then it’s pretty much what this episode feels like. Early on, we find out that the competitors have to make their way to the finish line all the way up in the far north of Scotland; by the end of the second part, the racers have only just managed to clear Wandsworth Bridge. FFS. With that rate of progress, this is going to be a very long eight weeks. But never mind, at least all of this tedious sitting around means that we at least get the added ‘bonus’ of – yes, you guessed it – more flashbacks. We learn the reason for Adrian Lester’s family unit – the Donahues – entering the race is because son Roman (Ike Bennett) and his friend Linus (Alfie Field) have hacked into some classified files about Brooke Heath, the institution where paramedic Kaye Newman (Phoebe Fox) and mother Helen (Harriet Walter) worked a few years ago, and appears to be the cause of the virus which resulted in the zombie mutations and the overnight curfew. The makers show us there’s a big, bad Government ruling this near-future UK by ‘disappearing’ Linus without trace, but given the lack of investment in the characters so far, I’m almost tempted to root for the villains of the piece. Thankfully, Kaye gets pushed very much into the background compared to her role in the series opener, which can only be a blessing, given her penchant for speaking all her lines rather than delivering them. Mind you, credit where credit’s due: she does get dangerously close to doing an emotion this week. It’s hard to tell if her performance is down to a stylistic choice on her part, the direction she’s receiving on how she should play the role, or just thinly-veiled contempt for being in such trash. Looking at her filmography, Fox seems like a reasonably accomplished actress, having been in Black Mirror and a Poliakoff mini-series, so it appears that she’s capable of delivering much better than what we’re getting from her here. It doesn’t help that most of the characters we’ve seen so far haven’t so much been carefully sketched out as drawn with a crayon, leaving the actors little to latch onto; two episodes in, and we still haven’t so much as heard a peep out of Miranda Richardson, and Billy Zane is only defined by the cowboy hat he wears, as well as the company that he keeps, and his thirst for Martinis. And that’s it. Now the challenge of doing an ensemble piece will always be giving everyone a fair slice of the pie, but so far some of the characters don’t even appear to be seated at the same table as the rest, let alone waiting patiently to get their just desserts. At least there’s Sean Bean, Sean Bean-ing it up – even if he does appear to be on auto-pilot throughout, he’s still one of the best things in the show. If the makers of Curfew have even a faint scintilla of self-awareness, they’ll make sure Sean Bean’s Errol ‘The General’ Chambers makes it all the way to the finishing line, to confound the audience’s expectations. However, the big question is whether there will still be any audience left to see it. So, the score has incrementally risen for Curfew this week, only because we’ve had a trace element of the fast, furious racing action that we’ve been promised. It’s so heavily diluted, however, Curfew could almost be considered as being the first homeopathic television programme. Review: Curfew gets just a little bit creepier and delves deeper into the darker side of human nature. The Racers are looking to finally escape London, but the one obstacle remaining is a huge wall. The Donahues share their plans to use some old tunnels with Kaye, Ruby, and Dave. While The General and a heavily pregnant Faith hatch a sneaky plan to get across the border. In this week’s Flashbacks, we learn about how Faith got together with The General and it is a rather dark story. Meanwhile, a very anxious Jenny Donahue gets bitten while trying to protect her son from one of the creatures. Rose Williams puts in a great performance this week as Faith. We learn that she was a baby sitter and that she was sitting for a family whose kids were attacked by their brother who had been bitten by one of the creatures. Andi Osho also puts in a great performance as Jenny who gets into a little trouble while protecting her son Roman from one of the creatures. A really strong episode, which sees us lose at least two of the regular cast members in what is only the third week of the series. I loved the conversation between Ruby, Kaye, and Michael when they talk about the race being more about tactics than speed and use the story of the Hara and the Turtle as an allegory for how they should run the race. The closing five minutes of this episode get really, really dark and quite bleak as we see Faith show herself to be a lot tougher and resilient than she first appeared to be. Okay, so who had Sean Bean buying the farm before the end of the third episode? Please collect your winnings. Look, that might sound like it’s a massive spoiler, but when you stop to think about it, it was always on the cards that he was going to be dead meat: it was merely a question of when. That’s his raison d’être, it seems. It’s just disappointing the writers of Curfew bottled it, and weren’t brave or bold enough to buck the trend, and keep Bean alive until the end. Either that, or he really needs to get a new agent. After last week’s false start to the big race, you could only hope that things would get underway properly. However, most of the ‘action’ this week relates to the entrants trying to get past the giant wall which is built around London. Apparently, Curfew is set in a world where Donald Trump is our PM. Yes, I done a satire, which is more than the writers of Curfew have managed to do in the last three weeks. Seriously, all this opportunity for social commentary or satirical digs at our current world, and yet they’ve consistently blown it. For a race to the highlands of Scotland, by the end of episode three we’ve only got as far as the outskirts of London. I can only assume the makers have a roughly thirty-seven series arc planned, because looking at the present pace, that’s just about the amount of screen time needed to get them anywhere near; by the eighth episode, we may get past Northampton, if we’re lucky. The rate of progress so far is about as fast as Captain Blackadder’s asthmatic ant with some heavy shopping. So they’ve eschewed literal forward momentum, but strangely this episode wasn’t completely irredeemable in spite of that. Honestly, I can’t tell whether Curfew is actually starting to improve, or it’s just wearing me down. Overall, this motley crew of characters is as uninspiring as ever, for the most part. And the use of flashbacks is still present, but this time they’ve actually tried to use them to far greater effect than we’ve seen to date, and brought an unexpected member of the ensemble to the fore: Faith Palladino (Rose Williams), the girlfriend of Sean Bean’s Errol ‘The General’ Chambers. So far, she’s pretty much been used as a warm prop, and her only characteristics we’ve seen before new seemed to be she was a heavily pregnant, bling wearing, chavvy gangster’s moll, as well as being the Jiminy Cricket on Chambers’ shoulder, in an attempt to try and control his anger management issues and insecurity. Things naturally take a turn for the worse, as one of the children she’s looking after gets bitten by one of the creatures while he’s in the back garden, looking for his pet dog. Knowing what we do now, it’s only a matter of time before things go south in a big way, and there’s a genuinely shocking moment where, after calling the Police, Faith returns to the cellar where she’s been hiding with the kids, to find that it’s locked from the inside – and there’s the sound of screaming. You don’t see what unfolds – it’s all done off-camera, via the power of suggestion, but you’re left in no doubt as to what’s happened, and just the thought of one of the children turning and going on a killing spree is chilling stuff. However, the hits keep on coming, as we then see the heavily pregnant mother of the family return home from her night out to find herself confronted by the sight of armed Police, ambulances, and corpses being brought out in bodybags. There’s a moment where she locks eyes with Faith, realises what’s happened, then grabs the gun of one of the armed response team and shoots herself in the head. It’s about as dramatic and impactful as Curfew has been so far, but then the father comes into shot moments later – and we see that it’s Sean Bean’s Chambers. Finally, we see how these two characters crossed paths, and hints at a much bigger backstory to be told, covering the four-year gap. It absolutely adds another dimension to proceedings, and shows why Chambers is so fiercely protective of the baby Faith’s carrying, as he’s already lost one family. It’s a pity that Bean’s not given more to play with in terms of hinting at what had happened previously, as there’s no trace in either the writing or performance that these tragic events had taken place, and influenced him in such a way that he was transformed from respectable family man to a violent, thuggish, brutal gangster. It would have certainly added some much-needed pathos, but this trace element of depth in the writing via the device of the flashbacks sadly seems like it’s just an aberration or anomaly. A large chunk of the storyline is centred around their attempt to get past the wall by doing a Trojan Horse – Faith and the car will hide in the back of an HGV’s trailer, while Chambers poses as a lorry driver, in order to get through the wall’s checkpoint. A big problem with this plan, however, is that the trailer is filled with containers packed with creatures, which seems to trigger some PTSD reaction in Faith, and we learn exactly why via the flashbacks. Adding to the tension here is her fear that the baby might be dead, as she hasn’t felt it kick for a while. All this ramps up the tension to boiling point, so things are set up to go very much awry. Chambers’ thin skin gets the better of him, and he snatches defeat from the jaws of victory by gunning down a guard at the wall checkpoint who recognised him but was about to let him through anyway (as a fellow northerner who admired him), just because Chambers took an innocent remark out of context and flipped. Cue all kinds of mayhem as an alarm is triggered – but that mayhem comes from a totally unexpected source: Faith. Having relived the horror of that formative experience with the babysitting horror, and feeling the baby kick again, this pushes her sense of self-preservation into overdrive, and gives us a gloriously daft sequence as she takes matters into her own hands. The visual we get of a heavily pregnant – and heavily armed – chav taking out the whole checkpoint in a pitched gun battle isn’t quickly forgotten, and actually gives us perhaps the first truly memorable and worthwhile moment of the whole series so far. It’s deliriously camp and ridiculous to watch, yet oddly compelling, and gives us a trace of the level of sorely-needed campery and bizarreness which would lift Curfew significantly if they’d only been smart enough to pitch it along these lines from the start. It’s overblown, it’s silly, but it really grabs your attention in a way that just hasn’t happened so far. Plus, it also contributes to one of the most memorable deaths of Sean Bean seen on our screens, as Faith realises Chambers is too erratic to be trusted to get her and the baby to the finishing line safely, so she just shoots him point blank through the forehead and takes his car. It’s not only a wonderfully unexpected moment, but it’s also dramatically valid, given what we’ve just seen of her background throughout the course of the episode. It’s strange just how Curfew has taken one of the tertiary characters, and in the space of some 45 minutes, turned them into one of the most compelling and sympathetic. In fact, Faith is actually far more rounded than most of the other competitors we’ve seen. This episode gives us far more female-led action, as not only do we have Faith going all ‘Mama Bear’, but there’s also the sight of Ruby (Aimée-Ffion Edwards) taking out one of the creatures with a high powered assault rifle without so much as batting an eyelid, and Jenny Donahue (Andi Osho) protecting her family with a shotgun from an attack, only to end up getting bitten in the process and having to stay behind, in order to avoid being a threat to them once she turns into one of the zombies. It’s all very empowering to see, and appears to bode well for forthcoming episodes if the writers can continue the progression – no matter how minimal – that we’ve seen on display here. Now, if they can just get on with doing the bloody race, that’d be great. The race continues and this episode reveals quite a lot as the story and various character arcs continue to develop. In this episode, we meet Dr. Jones and his crew as the former psychiatrist, who seems to have undergone some sort of breakdown talks Jenny Donahue through her feelings of guilt and the fairly recent loss of her husband. We also learn that Jenny was not bitten by one of the creatures meaning that she will survive. Back in London at a private healthcare facility. We learn that Kaye’s mother is still very much alive and has been revived enough to a point where she is coherent, but still undergoing the transformation into one of the monsters. The Doctor who speaks with her is asking her about her former patient Michael Garwick, who is apparently immune to the virus. Billy Zane is absolutely brilliant as Dr. Joker Jones and the scenes he has with Jenny make up a bulk of this episode as he sends her on an unbelievable acid trip and makes her confront some of her fears. This was another episode that was light on the action and heavy on character development and story. The acting from all concerned was really strong and the scenes with Joker Jones and his crew provided for some of those laugh out loud moments. You know those moments where you have to kick yourself for laughing. The fight between Kaye and Michael was only really a secondary plot point this week as much of the focus is on Billy Zane’s character. But it will be interesting to see if the authorities are sent after Kaye and Michael given that his DNA holds the keys to a possible cure for the virus. This criticism has been written after seeing the first three chapters of 'Curfew'. It does not contain spoilers. The race of the century is that movie of the 60s that has taken so many laughs from generations. The theme was very simple, with a diverse group of people running with their cars for a prize. With a similar premise, but a very different way of developing, Curfew was born , in which we are told a fight to life or death to reach the goal. On this occasionthe environment is completely hostile and the participants themselves are often profiles to be wary of. 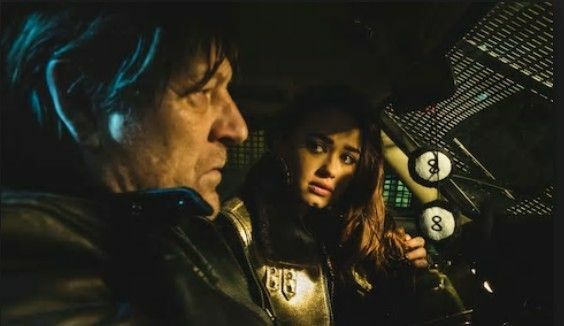 With Sean Bean as one of its great attractions, the first season of Curfew has eight episodes in which science fiction is a starting point for an action-packed production and that largely runs with a nighttime backdrop and dangerous. The Sky series poses a somewhat apocalyptic future in which creatures called mooks attack the population as soon as the sun goes down. His bite poisons, killing the victim, which means that a mandatory curfew has been established. It is curious as only that, without needing to describe more oppressive measures, and it paints life with a stranglehold halo where everything is stained by that order. Night becomes a forbidden and dangerous element. But not all is lost. Someone, who is spoken of as almost a fable, lives on an island not located where the mooks have not arrived. There life is free, sunny, paradisiacal. And the population is controlled. Only a lucky few can know their location. To achieve a place in that place you just have to win a prohibited and night race . And the road is full of tests and impediments that make reaching the goal not a simple matter of speed. Curfew is one of those titles full of adrenaline where it is evident that not all will reach the end alive, and the bets for guessing who and how is left to their fate are on the table. It has scenes of action, of emotion and of little sensiblón drama. And good rhythm. We do not find in it great conversations or scenes that will change our life, but it manages to maintain a certain tension throughout the episode that makes you be attentive and entertaining . One of the roads that in its start and manages to exploit well is the relationship between the contestants. Far from being a series that simply chains independent scenes to each other, it bets to throw of the thread in which antipathies and affections between several cars can arise . In this way, the other contestants become a monster rather than defeating, or a partner with whom to ally and work together. In general, it ends up being an entertaining production and that in its trailer already shows honestly what kind of tone you can expect from it. His first three episodes convince. It offers action and fun and is exactly what it gives . While it remains to see how it will continue, the start is promising, and it can leave a title that keeps you stuck to the screen, betting with yourself who will get to live at the end. The first season of 'Curfew' is already available on demand at Sky Spain. Where’s the real Curfew, and what have you done with it? So help me, I’ve just enjoyed my second episode in a row. I think that I may need some professional help. Which is very good timing, really, seeing as how this week’s episode is focused for the most part on a professional therapist, played by Billy Zane. Once again, Curfew has played a real blinder by leaving aside most of the lead characters (who are, all things considered, essentially just moving wallpaper at this point), and letting the background players have their moment in the sun (at least metaphorically, as pretty much everything right now is taking place at night). Zane’s ‘Team Awesome’ has had little to no screen time for most of the previous three episodes, so when they finally get their time to shine, it’s refreshing to see that their story doesn’t in fact take us in the direction we might expect. Based on what little we’ve seen so far, you would have been forgiven for taking them all just at face value, mistaking them as being just a bunch of substance-abusing party animals. Finding out Zane is (or, at least, was at one time) a respected professional figure comes out of left field, and we get to see his personal journey through the use of flashbacks which take us to three years previous, where Zane’s Dr. Jones is treating a government official. Having been lead to believe that mother Jenny Donohue (Andi Osho) was a goner after encountering one of the creatures in last week’s episode, we last saw her being snatched up by ‘Team Awesome’ as their VW Camper Van roared past. It’s rather a surprise to see her strapped to the roof of said Camper Van when we next encounter her, having been laced with narcotics by one of Jones’ associates, El Capitano (Jason Thorpe); it turns out this was done partly out of morbid curiosity to see what effect it would have one one of the creatures, and partly to ease her suffering. It’s not a standard NHS prescription, I’ll grant you. However, it all seems to have been done for naught, as we learn Jenny’s only been scratched, not bitten, and she’s not in fact going to change. It leads to some rather interesting exchanges, as Jones attempts to counsel Jenny, helping her with trying to come to terms as to why she wanted to effectively sacrifice herself; in the process of doing so, we actually get to see both of these characters as being deeper and far more rounded than we might have first thought. Curfew‘s upped its game over the last two weeks, working so hard on confounding our expectations, and it’s all coming together beautifully. The writers have really nailed their use of flashbacks, having helped to flesh out the previously incidental character of Faith (Rose Williams) last week. Although less prominent here, we still get to see her in a set piece, where she uses a smoke grenade to lay an ambush for unwary entrants in the race, taking them out with an assault rifle one by one. The only thing that stops her is what appears to be labour pains, letting the rest of the pack through as she ends up doubled over in agony. At least we get to see Miranda Richardson doing something, albeit briefly, as she stops to see if she can do anything, only to have a gun pointed at her. I’d wager hers will be possibly the next backstory we see filled in, as she’s had virtually no attention so far, and it’s long overdue (unlike Faith’s baby, it seems). Meanwhile, back at the main narrative, Dr. Helen Newman (Harriet Walter) has been brought out of her zombie-like state by Government agents who are pumping her for any information about Michael Garwick (Malachi Kirby), boyfriend of her daughter Ruby (Aimée Ffion Edwards), and ex of other daughter Kaye (Phoebe Fox) – it seems he may hold the key after all, having antibodies which could cure the virus. Cue a hilariously OTT action sequence where a member of the security services catches up with Michael and Kaye – it’s patently ripped straight from Terminator 2, even down to the weird, robotic run he does while chasing down the ambulance on foot. He also seems to be indestructible, as he easily takes being zapped with a defibrillator and tossed out of a moving vehicle in his stride. All in a day’s work, apparently. Curfew has started to find its way at last, and shows that last week’s form wasn’t a glitch or aberration, but definite signs of improvement. Having been rather leaden footed and stodgy the first two episodes, it looks like the writers have started to fully embrace the more ludicrous elements of the show and play up to them, rather than shying away. Absurdity does seem to be right in Curfew‘s wheelhouse, so more power to their elbow for playing up to the campiness and silliness inherent in the concept. It’s certainly a lot of fun, and eminently more watchable than the sheer torture of all the po-faced, self-important dricel we had to break us in with initially. One thing you can definitely say about Curfew after this latest episode is their soundtrack game is strong: early on, we get the freneticism of Plastic Bertrand’s ‘Ça Plane Pour Moi’ to accompany the main intro of ‘Team Awesome’, and it fits them just perfectly. Iron Butterfly’s ‘In-A-Gadda-Da-Vida’ – best known for being in The Simpsons episode ‘Bart Sells His Soul’ – pops up throughout, and suits the very counterculture nature of Dr. Jones and his team. We also get ‘Drive’ by The Cars at one point – it’s surprising we’ve not had more motoring-themed music this far, but the eclecticism on display is much better than just popping on a drivetime CD to play over the top of the action, so props to the production team for actually putting a bit of thought into what they’re choosing. The perfect fusion of some kicking tunes and this newly-found inner madness on the part of the writers is best reflected in this episode’s true showstopping moment near the climax, involving Dr. Jones and Jenny. After last week’s vision of a heavily pregnant chav singlehandedly taking out an entire security checkpoint before then shooting Sean Bean through the head, you wouldn’t be blamed for thinking that they couldn’t manage to top that, with its sheer ballsiness and insane brilliance. However, you’d actually find there’s something here which manages to virtually rival that very same level of inspired lunacy. If you’d have told me at the start of this that one of my favourite TV moments of the year so far would be the sight of Andi Osho riding a surfboard on wheels down an A-road to the strains of ‘The Hustle’ by Van McCoy and the Soul City, then I would have most likely laughed in your face. Yet here we are. Finally, Curfew has found its niche, and realised it needs to embrace the madness. If we’d seen just this kind of utter lovable daftness from episode one, it wouldn’t have seemed like such a slog to get through the chaff, and overcome what was a false start. Maybe Dr. Jones is right, and insanity is relative. Well, I’m certainly relating very much to this new-found bonkers take on the show, and the foregrounding of those previously overlooked characters, who are actually turning out to be some of the most compelling. In the words of Dr. Jones: Vaya con Dios. Given my utter antipathy all the way back at the start of the series, it felt as though it would be an endurance race in more ways than one, but it’s turned out to be enjoyable – if not essential – viewing. There’s just two weeks left, and all to play for. Whatever happens, on current evidence it’s going to be far from dull. Synopsis: Not far off the finish line, Kaye reveals a long-kept secret when she makes a shocking confession to Michael. Review: This penultimate episode gives us the backstory about the virus and sets things up for what looks like it will be a killer finale. It’s the final push to reach the finishing line and take the chequered flag. And Curfew has definitely fallen on more than one occasion along the way, yet it’s also managed to pick itself back up. It’s been a gruelling (sometimes for the racers taking part, sometimes for the audience) eight weeks, but the end is finally in sight. And you know what? I’m strangely going to miss it all.